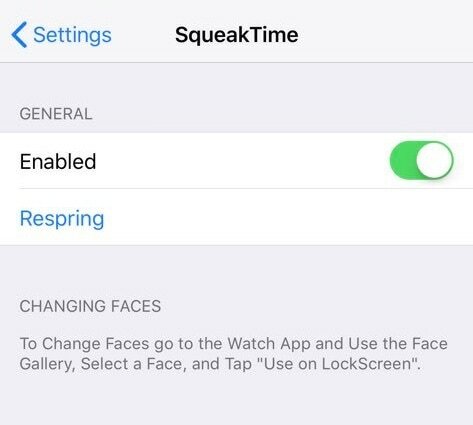 While perusing the Changes tab in the Cydia Store this week, we happened upon a brand-new jailbreak tweak dubbed SqueakTime by iOS developer Andy Wiik. 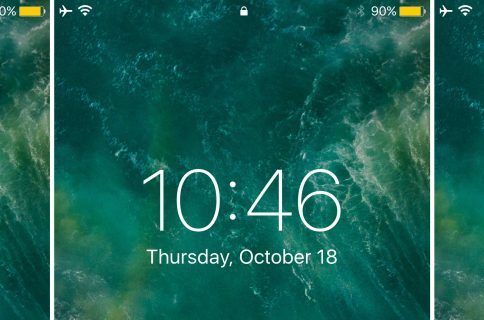 With it, you can replace the Lock screen’s native time indicator with official Apple Watch faces. When you tap this button, it replaces your iPhone’s stock digital time indicator with the Apple Watch face preview you were just looking at. 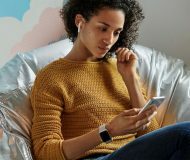 You can use any of those supported by the native Watch app, including the ever-so-popular Mickey Mouse face. 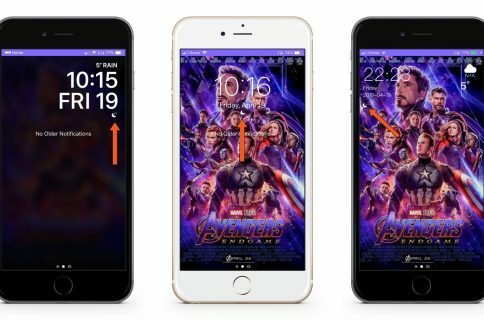 These watch faces animate in real-time, so they depict the correct time; this is awesome for anyone who prefers analog time displays over digital ones. Notably, you don’t need to have an Apple Watch paired with your iPhone to use SqueakTime. This was a stupendous consideration on the developer’s part and ensures that anyone with a jailbroken handset can use the tweak. Here, you’ll find a kill switch and a respring button for saving your changes upon toggling the switch. For the most part, everything you need to use SqueakTime can be found in the native Watch app. The concept behind displaying Apple Watch faces on your iPhone’s Lock screen isn’t new. 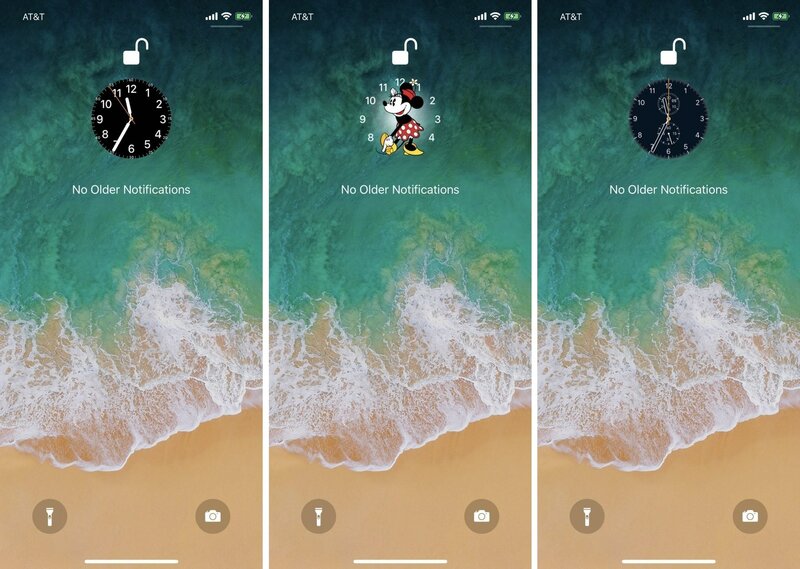 A jailbreak tweak called LockWatch was released in December that attempted a similar execution, but SqueakTime is the first to use the native Watch app and supports more native Apple Watch faces. Unfortunately, SqueakTime doesn’t support Apple Watch face Complications, but it can be used to tell the time in a pinch. If you’re interested in trying SqueakTime, then you can download it from Cydia’s Chariz repository for $1.49. The tweak supports all jailbroken iOS 11 devices. 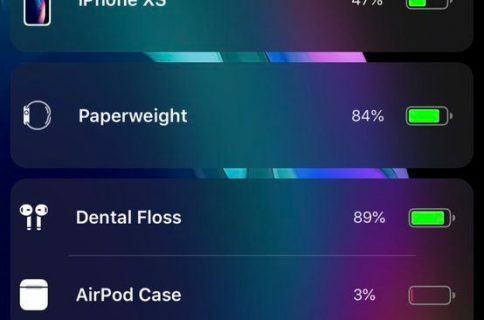 What Apple Watch face will you set as your iPhone’s Lock screen time indicator? Share with us in the comments section below.